We're happy to meet them! Jill-Christine Wiley and Mike McLean will star as Maria Rainer and Captain Georg von Trapp, respectively, in the North American tour of The Sound of Music. The touring production of the classic Rodgers and Hammerstein musical will next play The Paramount Theatre in Seattle September 6 through September 11, before continuing on to additional cities across the U.S. and Canada. 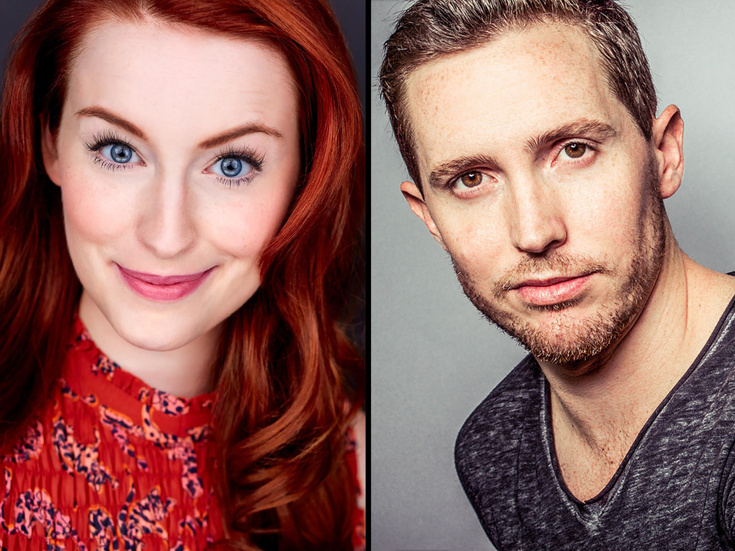 In addition to Wiley and McLean, the cast of The Sound of Music will feature Lauren Kidwell as The Mother Abbess, Jake Mills as Max Detweiler, Melissa McKamie as Elsa Schraeder, Chad Campbell as Rolf Gruber and Keslie Ward as Liesl. The von Trapp children are played by Landon Brimacombe (Friedrich), Arick Brooks (Kurt), Katie Grgecic (Brigitta), Madeleine Guilbot (Gretl), Maya Karp (Louisa) and Amaryllis C. Miller (Marta). The ensemble includes Caleb Adams, Colten Blair, Sarah Brackett, Jeff Brooks, Randy Charleville, Mackenzie Dade, Danielle Guilbot, Stephanie Gray, Danielle Lee James, Allison Macri, Nicholas Newman, Adam Ross, Isaac Ryckeghem, Thanos Skouteris, Christina Tompkins, Ariana Valdes and Melissa Weyn. The Sound of Music features music by Richard Rodgers, lyrics by Oscar Hammerstein II and a book by Howard Lindsay and Russel Crouse, suggested by The Trapp Family Singers by Maria Augusta Trapp. The creative team for this new production includes direction by Matt Lenz, based on the national tour’s original direction by three-time Tony Award winner Jack O’Brien, and the show's original choreography by Danny Mefford has been recreated by Jonathan Warren. To find out when The Sound of Music is playing in your city, click here.